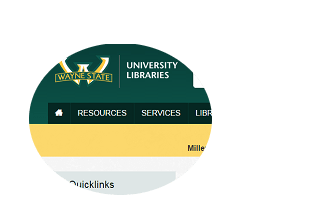 As of early October, all of the Internal Medicine residents have been given access to the Schiffman Medical Library at Wayne State. Thanks to the hard work spearheaded by Dr. Suzanne White, Dr. Maryjean Schenk and the GME staff we will now be able to access all of the online resources including journals and databases. We will also have access to the physical library and be able to check out books and other print media. Our access to the DMC Library services will remain in place and be accessible through the DMC Intranet. You can access the Schiffman Library website here. Your Access ID and password should have been emailed to you by Shirley. If you cannot find them, you can either email Shirley, or you can call the Library Reference Desk at 313-577-1094.